Privacy has become a thing of the past now as you are almost always monitored by one entity or another. People did care about the invasion of privacy in the beginning, but most of them have begun to just live with it. They either don’t care about privacy any more or have just convinced themselves that there is no such thing as a privacy invasion. The latter is absolutely wrong because almost everything that you do online is being monitored. Your own internet service provider keeps track of your browsing history and has all the data. Then there are ad agencies which also keep an eye on your activities so that the ads you see online would be of your interest. Government entities have been openly exposed for invading citizen’s privacy, but they claim that they do it for the security reasons. So, the part about privacy not getting invaded is completely false. The people who don’t care about the invasion of privacy anymore have just come to terms with it and feel that there is nothing they can do about it. However, that’s not true either. 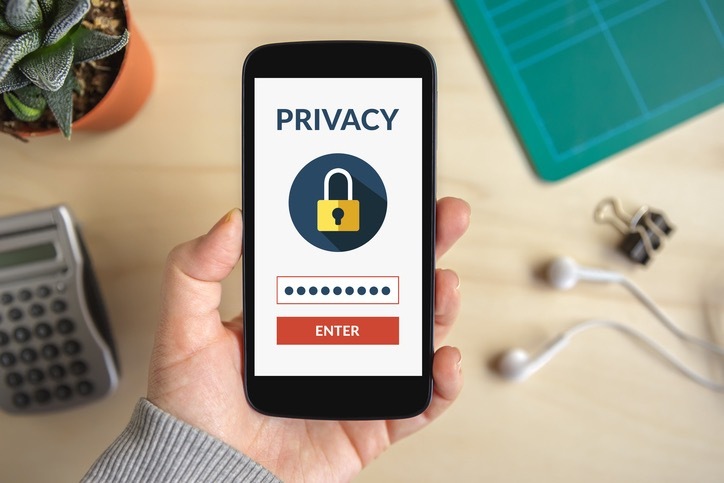 There are multiple ways to keep your privacy intact these days and we have discussed some of them in detail below. VPNs are highly disregarded when it comes to privacy. That’s largely due to the fact that not a lot of people are aware of what VPNs are actually capable of. People mostly make use of them to access blocked sites and that’s about it. However, there is much more to VPNs. They not only give you access to blocked content, they also increase your online security with their security protocols. Furthermore, they keep you safe from the ever-growing internet throttling threat. Finally, they provide you with privacy that seems to be absent from the internet. As soon as you enable a VPN on your device, all of your activity is rerouted through a different server, which hides all of your activity from the prying eyes. Even your internet service provider, which records each and everything, is unable to keep track of what you’re doing. If you crave online privacy, then VPN is your only sure way to get it. You don’t necessarily have to invest in a VPN app, as you can easily find one for free. FalcoVPN is one of the best examples of a free VPN – you can read more about it on its homepage. It offers almost everything a paid VPN does and will help you hide your activity with ease. All you have to is download it and connect to a server. Every activity from there on out would be private and hidden from all prying entities. If you really want privacy and are not willing to seek help from a VPN, then TOR Browser is another great option. Instead of using Firefox, Explorer, or Chrome, you can go for TOR. Unlike other mainstream browsers, this is designed specifically for people that don’t want to be tracked. It comes with its own encryption that hides all of your online activities. Despite being relatively new to the market, it is slowly gaining a foothold as more people are now gravitating towards it. They realize that this browser keeps all of the information secure under its encryption, and that’s what a lot of people want. VPNs are a great solution, but those of you who do not want to get them can surely go for TOR Browser as it is the second best option available. We give out our location on almost every platform, but if you’re looking to stay private, this has to stop. Ad agencies have partnered up with many of the platforms to keep an eye on your location at all times. The information that they gain from it is utilized in bringing you ads that would be relevant to you. This is now being done almost everywhere and no one is safe. There is only one way to counter it – turn off location data altogether. If you have your location hidden, there is no way for an ad agency to know where you’re located, and without that information, they won’t bother you with ads. VPNs are hand down the best solution for keeping your online privacy, but if you don’t like making use of them, then TOR Browser is the second best option. Blocking location data is an option as well but it will only help against ad agencies – you will still be tracked by other entities, which doesn’t make it as reliable as other options. Therefore, for complete security, you should go with VPN or TOR Browser. However, if are only concerned about advertisements, then you simply have to turn off your location data. Previous: Could Phone Contracts Be on Their Way out?